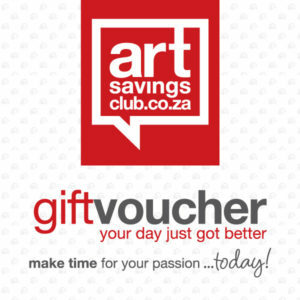 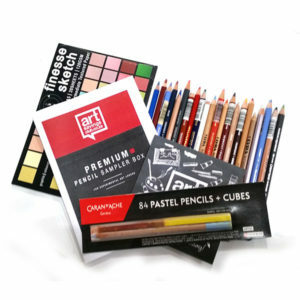 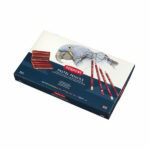 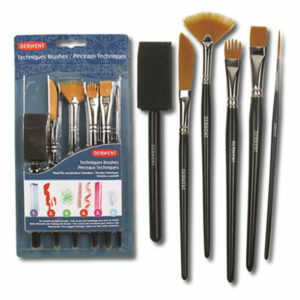 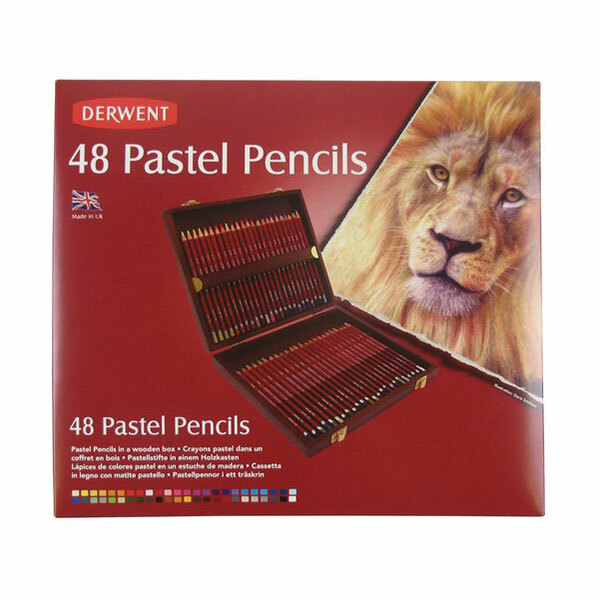 Pastels are usually all about getting your hands dirty but not with Derwent Pastel Pencils. 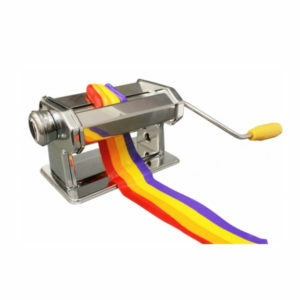 The wide colour strip is powdery & soft so mixing and blending is really easy and because it is encased in wood you get the pastel effect without the mess (if you can resist using your fingers to blend!). 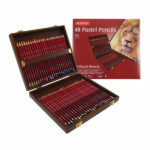 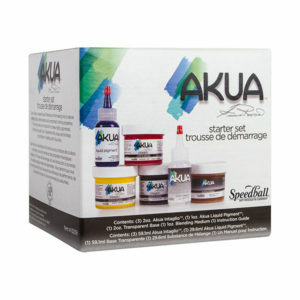 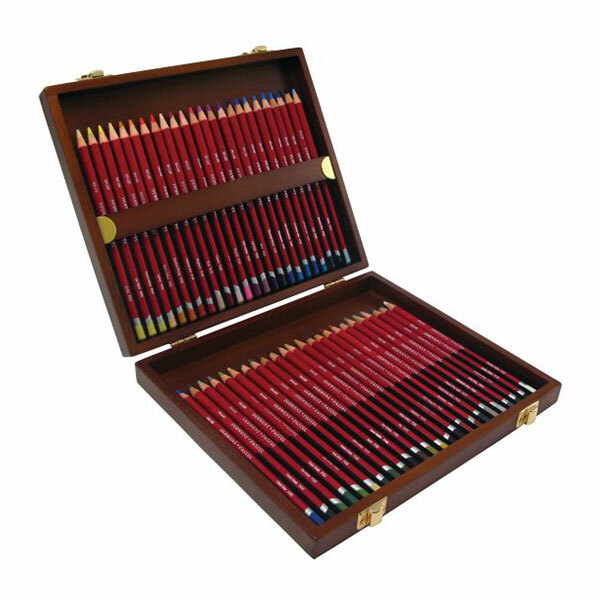 The complete range of 48 and 72 Pastels Pencils presented in a beautiful wooden box. 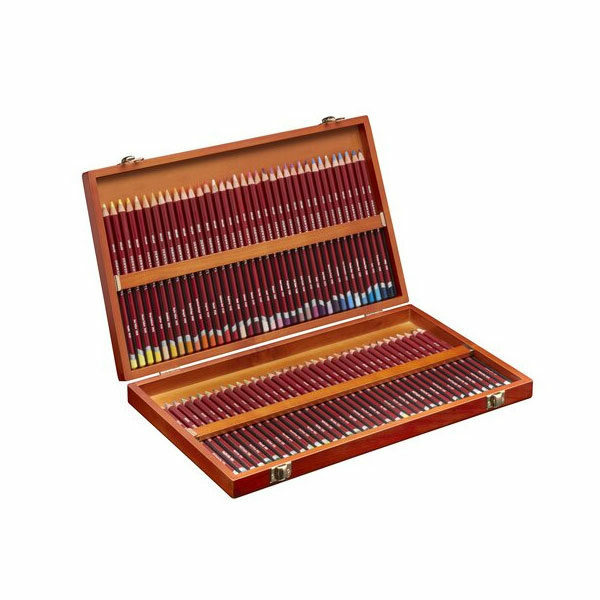 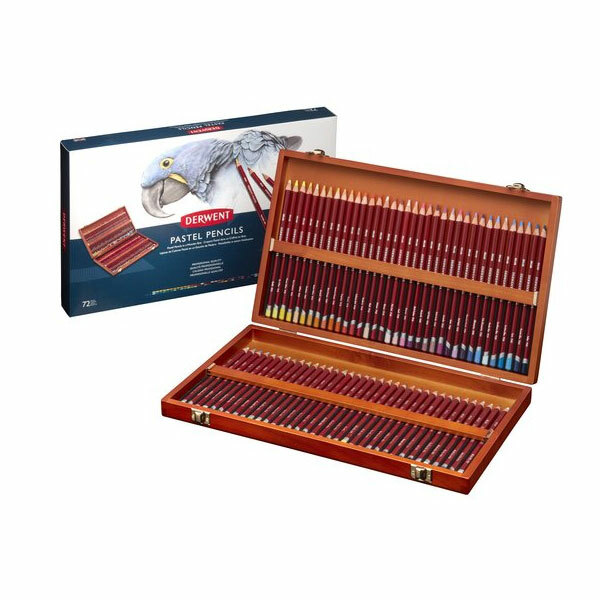 Beautiful light, mahogany finish, two tiered wooden box containing a special selection of 48 and 72 Pastel Pencils from the extensive Derwent Pastel Pencil range.